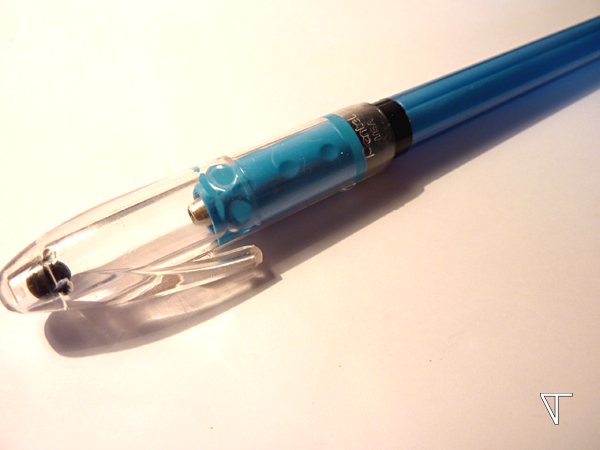 Balanced and can write if you keep the inktube ! 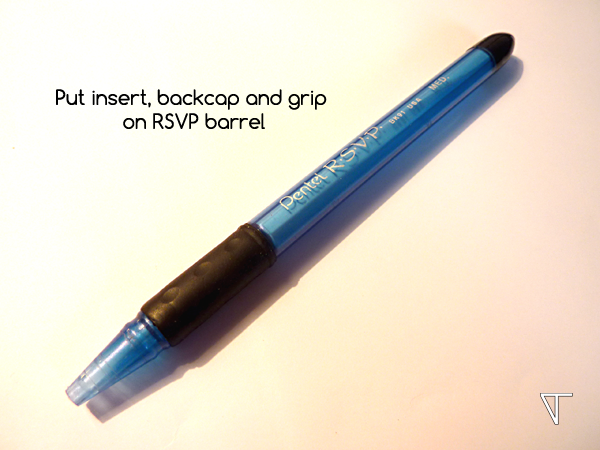 2 RSVP Pentel (1 Cap, 2 Grips, 1 Barrel, 1 backcap) – 1 & 2. 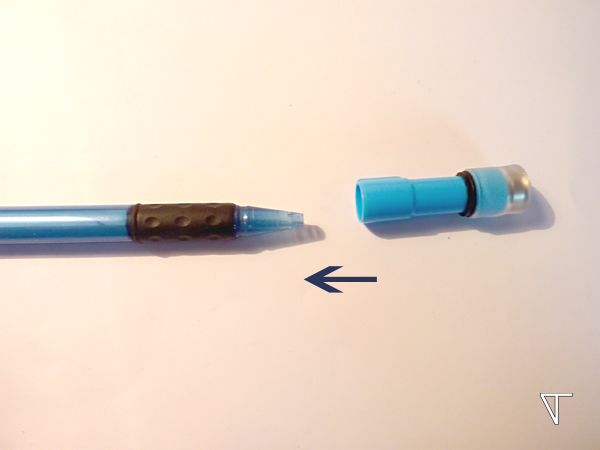 1 Airblanc Pilot ( 1 Grip) – 3. 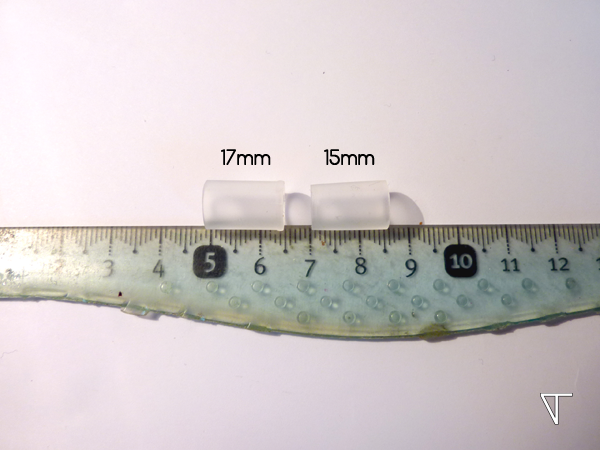 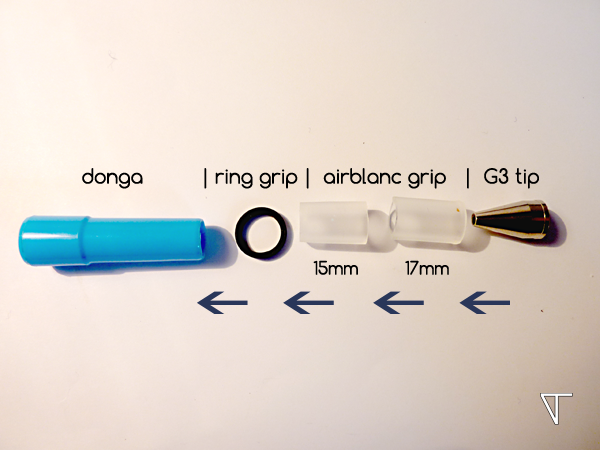 1 Ring grip (I use here Zebra Z-Grip) – 4. 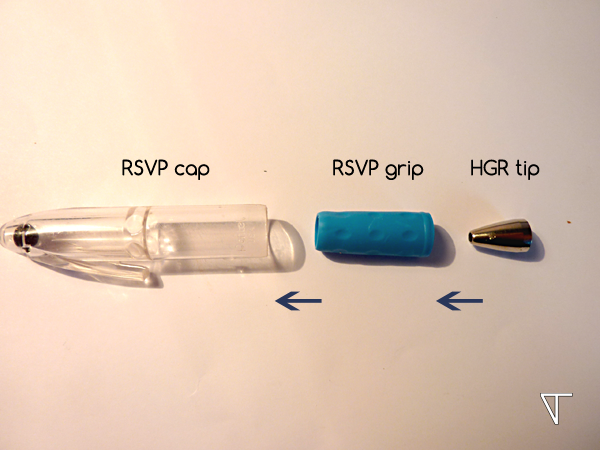 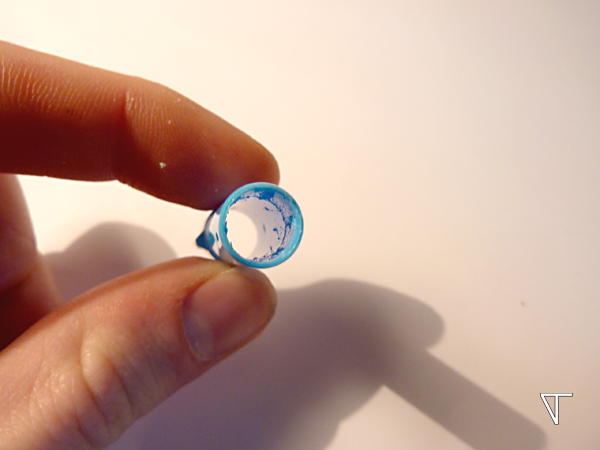 1 HGR Pentel ( 1 Tip) – 5. 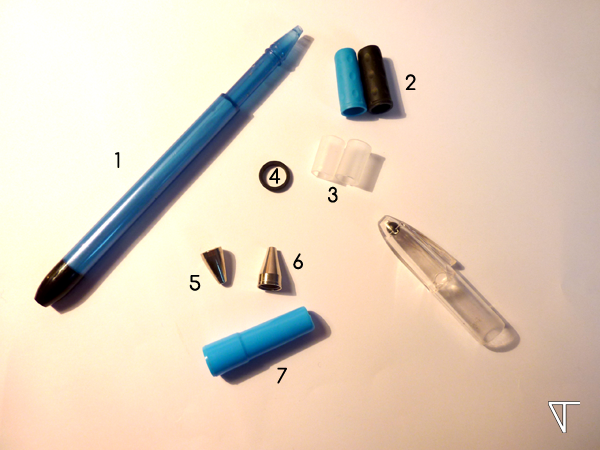 1 G3 Pilot ( 1 Tip) – 6. 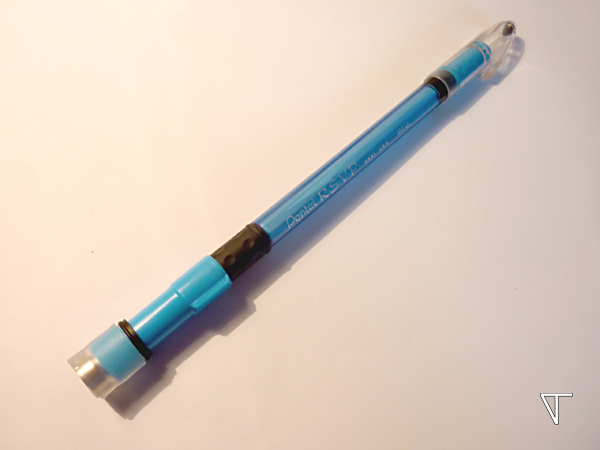 1 Donga computer sign pen ( 1 Cap)- 7. 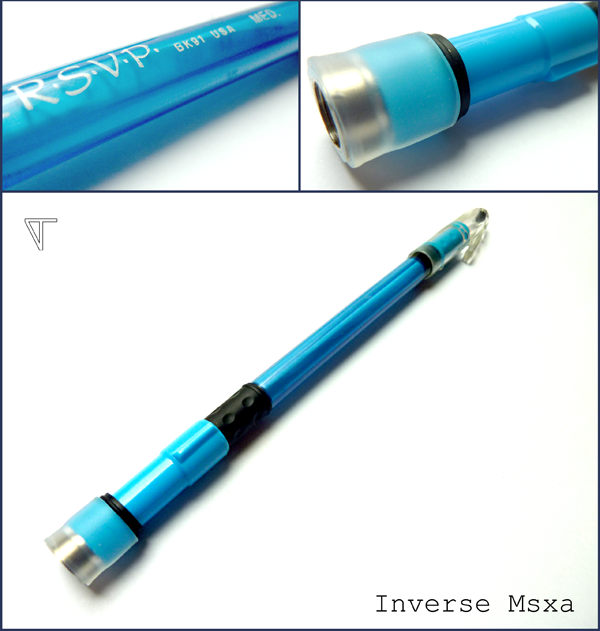 Share the post "[TUTORIAL] Inverse Msxa"